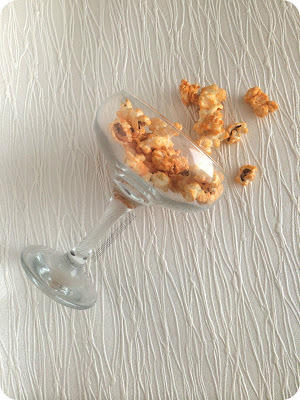 Who’d have thought that cinema sickly sweet popcorn would one day become a gourmet indulgence? Gone are the days when we only had to choose between salty or sweet, now the popcorn world is our oyster and there’s a flavour out there for everyone. It seems there isn’t a flavour combination you can’t find in popped corn form that’s for sure. And the flavourful offerings from Tommy Tucker are just waiting to tickle your taste buds. Popcorn is my go-to snack, be it when I’m watching Netflix or writing blog posts, I love having some on hand to munch on. I’m one of those indecisive people who can’t ever choose between being a sweet or savoury person so for me, popcorn gives me the best of both worlds! 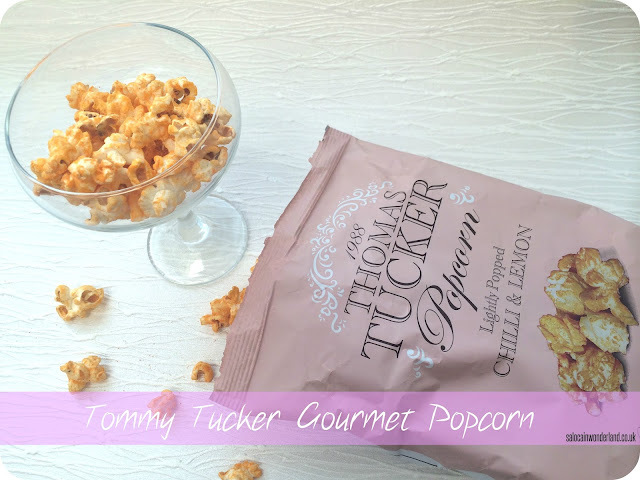 Tommy Tucker was one of the sponsors for the latest North West Blogger Events event last month and we all got to get our greedy blogging paws on their popcorn. With more flavours than fingers I have to count them on offer, I made sure to try a little of everything that we had at the event. Their Caramel Summer Fruits was delicious! Made with a unique cherry and strawberry toffee coating, every kernel was sweeter than the last. It’s such a unique flavour that didn’t get boring or sickly - and trust me, I had enough to know! No artificial flavours or colours, wheat, GM and gluten free, it’s guilt-free gluttony. In my goodie bag, I found a 30g impulse bag of the Chilli & Lemon flavour to try out. 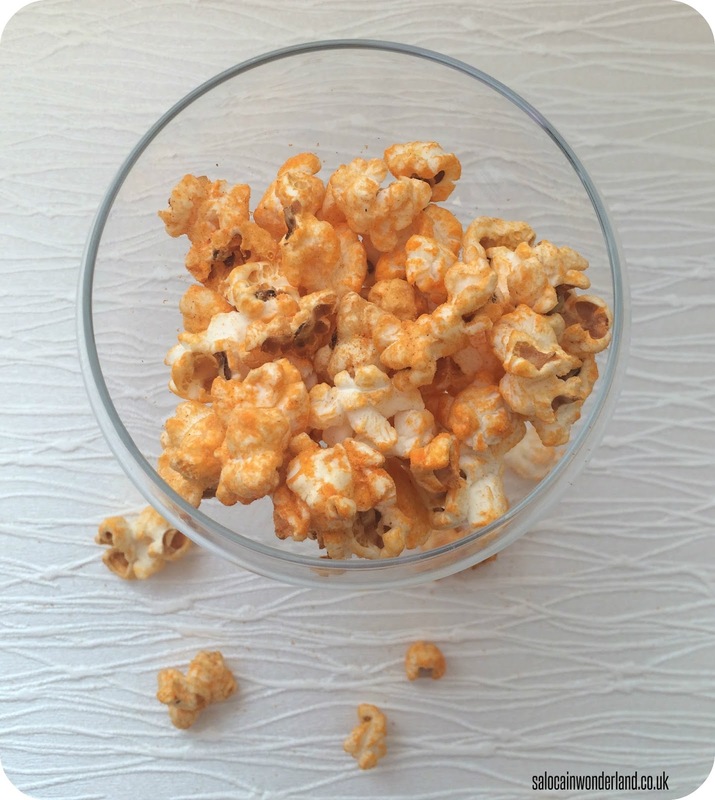 A sweet popcorn base that has been coated in chilli seasoning and a twist of lemon. This is popcorn with a kick! The coating itself makes the popcorn quite dry so you’ll need to keep a drink on hand, and the heat of the chilli doesn’t kick in until you’ve had a few pieces and then boy, do you know about it! I’m not a huge fan of anything too hot and spicy and I found this to be a little too much for me! As if we hadn’t been spoilt enough, I also found a couple of bags of their Frozen sweet popcorn. Frozen! 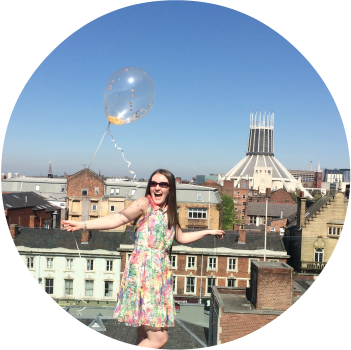 They actually specialise in Disney themed sharing bags, ideal for kids (of any age!) parties! For me, nothing beats a bag of sweet popcorn. Tommy's only use the best quality American-grown corn, popping it to perfection in the UK and then making it into something special, like this. Every kernel was equally as sweet as the last, and it wasn’t too dry. Having had a sneaky peek through their website, I really want to try their Coconut Toffee flavoured popcorn, I bet that smells and tastes amazing! Gourmet popcorn at it’s best, the packets are pretty fancy pants too, so when the friends and family come round, a few bags of these on the coffee table not only gives them something delicious to munch on, but it looks like I’m treating them to something swanky and expensive too. What’s your favourite popcorn flavour? Let me know in the comments below!